Hillside Lodge offers overnight accommodations at budget prices. Rooms are comparable to franchise hotels at a fraction of the cost. Hillside Lodge is most interested in providing comfortable, clean rooms at an affordable price while providing most of the same amenities within the room that can be found at more expensive hotels. All rooms will absolutely meet your standards in terms of cleanliness and comfort. Rooms include wireless internet, full scale satellite TV, TV with VCR for viewing movies, hair dryers, refrigerators and microwaves. 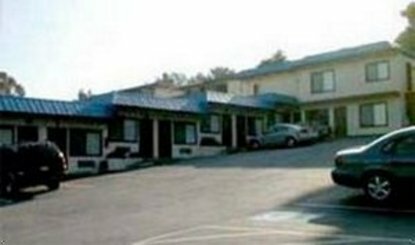 We have rooms with special jacuzzi tubs, rooms with kitchen areas, and non-smoking rooms to accommodate all your lodging needs. One of the best features of our place is our location. As a suburb of San Francisco, you are located in the center of the Bay Area metropolis. Belmont is within one half hour of San Francisco, Oakland, and San Jose and their airports. For those who need to visit all parts of the Bay Area in a short amount of time, Belmont is the perfect place to stay. In Belmont, you are close to a variety of locations for dining, recreation, or business. We are conveniently located at 630 El Camino Real in the heart of the Peninsula in Belmont, California. We are located just 10 minutes from the San Mateo Expo Center and Notre Dame de Namur University, 10 minutes from Oracle and the Redwood Shores Business Park, 20 minutes from SFO Airport, and 20 minutes from Stanford University. Our facilities can be reached by car via Highway 101-Ralton Avenue exit. A Caltrain train station and Samtrans bus station is located across the street. Give us a call to reserve your room for convenience and comfort without having to pay out of control rates for the same amenities.